Welcome back! Please Login now. Please contact Spectra Diversity for more information or if you have questions.  Please complete this form to become a Spectra Diversity Change Partner. You may also choose to use the Spectra Diversity Facilitation Kit and have your reports co-branded. To become a partner and receive the discount pricing, without receiving the Facilitation Kit. The Facilitator Kit will be sent on a flash drive to the address you provided on this form. As a Spectra Diversity Change Partner, your company is allowed to have two Authorized Facilitators. Please include up to four lines of text to be used on all co-branded report covers. Options may include: your company name, email, phone number, website address, tag line, or other information relevant to your company. If co-branding is not chosen, the information will be Spectra Diversity branded. Please upload your logo. for co-branding There is a one-time charge of $100 for this service. Suggested size of 500 x 500 pixels. Files permitted are jpg, png, tiff. The entire risk arising out of the use of the profile and associated material(s) remains with client. To the maximum extent permitted by applicable law, in no event shall Spectra Diversity or any other party be liable for consequential, incidental, indirect, special, punitive, or other damages whatsoever (including, without limitation, damages for loss of business profits, business interruption, loss of business information, or other pecuniary loss) arising out of the use of or inability to use Spectra Diversity products. The entire liability of Spectra Diversity or any other party with respect to the use of or inability to use Spectra Diversity products shall be limited to the total amount of fees paid by client for the product(s). Spectra Diversity and their agents and representatives do not render any legal or professional advice. This profile, and any accompanying materials, should not be used as a substitute for professional services. If legal or professional advice is needed, please consult with your attorney or professional advisor. Total - Send me an invoice. Being a Spectra Diversity Change Partner will set you apart from the crowd.